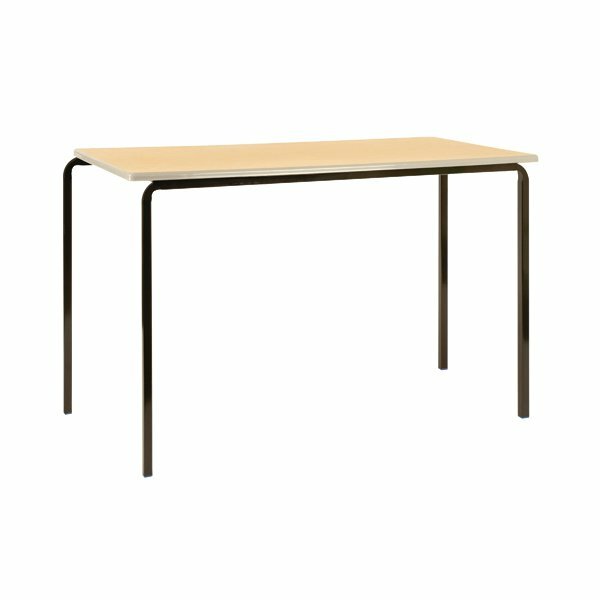 This Jemini Class Table features an 18mm thick laminated top with a lacquered, easy to clean beech finish. 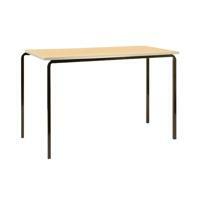 The rounded corners and injection moulded PU edge tops provide added safety, making them ideal for classroom use. The silver crush bend steel frame provides stability and durability for long term use. Pack of 4 tables.